This past weekend we participated in a LGBT friendly wedding expo held at The Millennium Maxwell Hotel. Generally we don’t participate in wedding shows but we felt that it was important for us to be at this show. 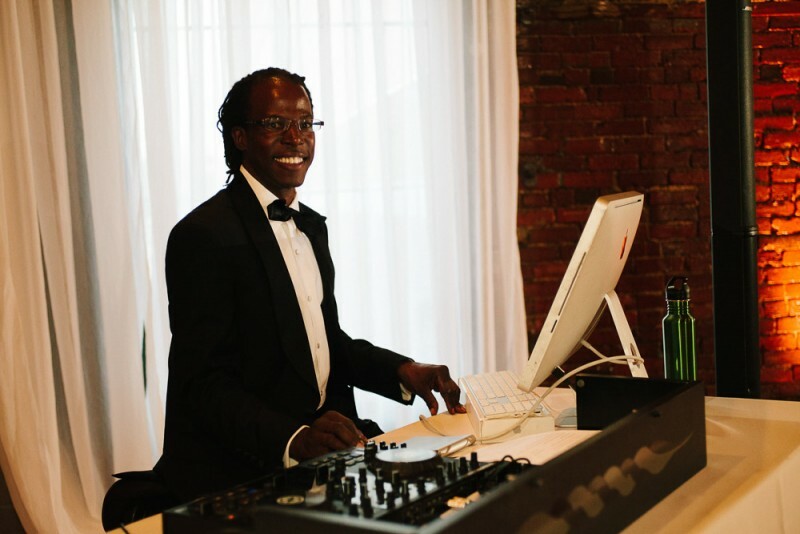 We believe that all couples should have access to awesome wedding vendors who will help them create amazing weddings. 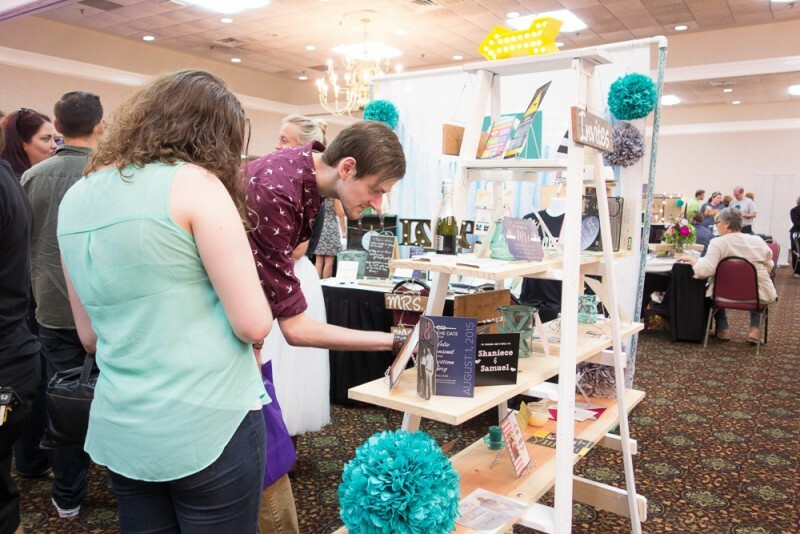 At the show we connected with some awesome couples (we can’t wait to photograph their weddings and engagement sessions!). 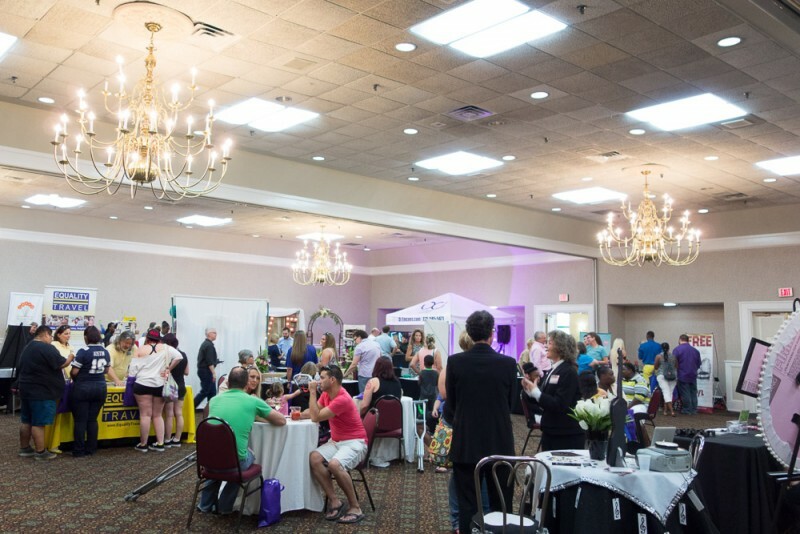 We also got to connect with some of the other wedding vendors who were exhibiting as well. 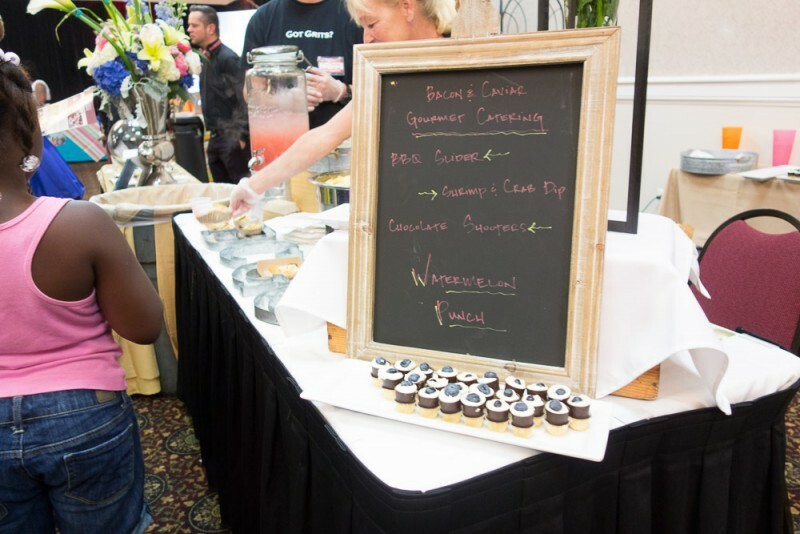 Some of these vendors are new to us and some we have had the privilege of working alongside at past weddings. We wanted to highlight a few of them and share some photos from the event. Next to our booth were our friends from Events on Cannery Row. We have photographed several weddings there and always love when our couples choose the location as their wedding or reception venue. 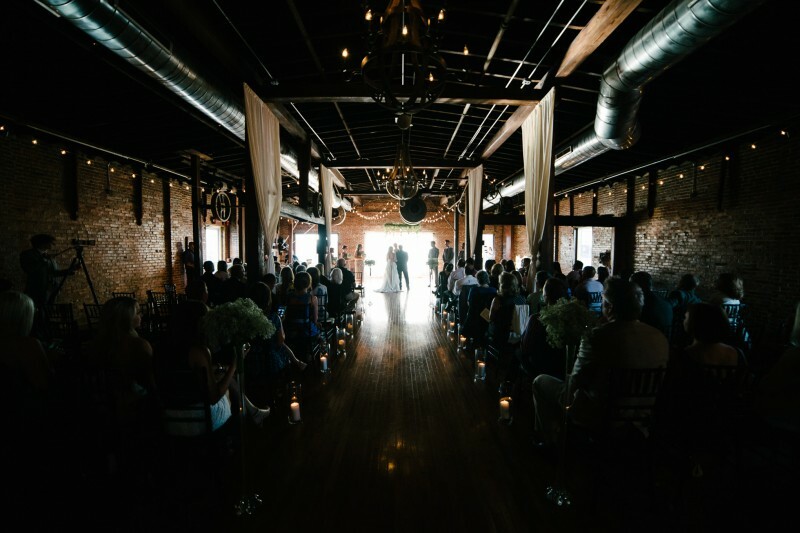 The event spaces at Cannery provide a beautiful backdrop for weddings that is centrally located between downtown Nashville and the Gulch. 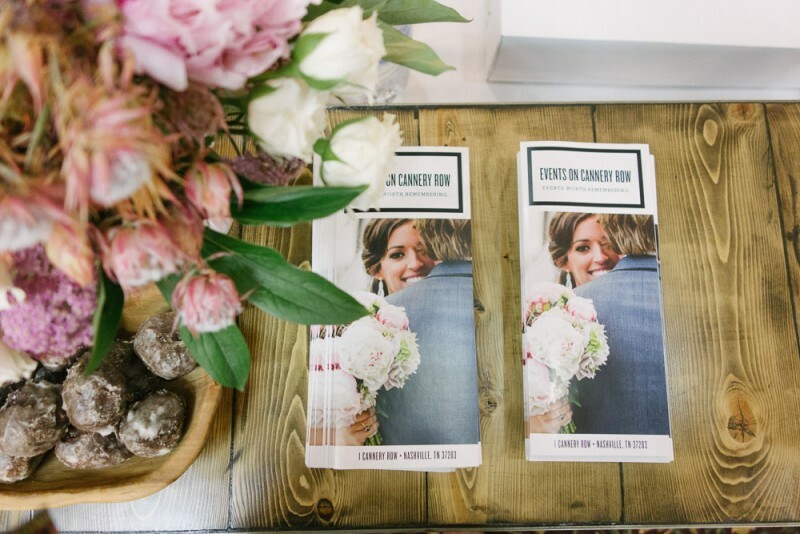 For more information on having your wedding at Cannery visit their website here. Bacon & Caviar always provide delicious menus for couples (plus they have bacon right in their name!). The BBQ sliders that they served during the expo were amazing! Check out some of their sample menus on their website here. 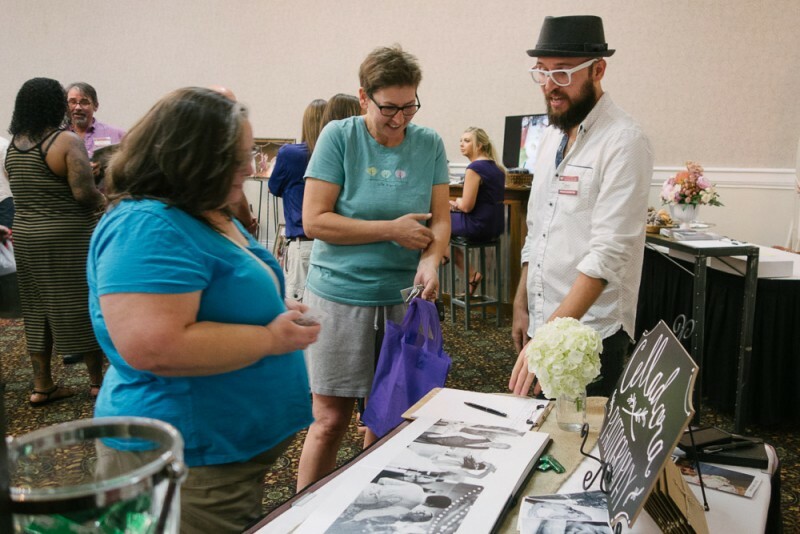 We got to meet Christy from The Paper Vow a Cleveland, OH based invitation company that made the trek down to Nashville to meet with the couples at the expo. You can see some of their gorgeous work here. 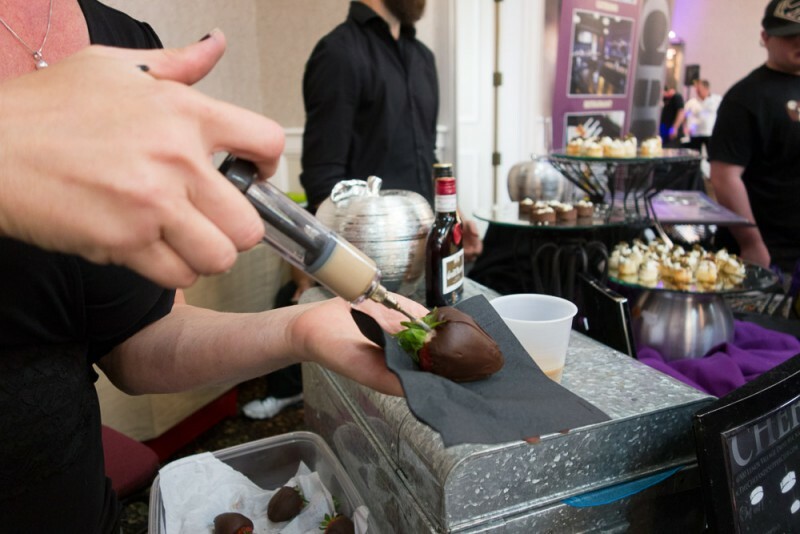 The Chef & I Catering was also on hand providing samples of their delicious treats including everyone’s favorite chocolate covered infused strawberries. We always get excited when our couples use them for their catering because we know we are going to have one delicious dinner. Check out their website for more deliciousness. We also met the venue owners of two beautiful locations that we haven’t gotten the opportunity to shoot at yet: Burdoc Farms and Natchez Hills Vineyard. Sara Shepherd introduced us to Burdoc Farms which is located in Western Kentucky just north of Nashville. It has over 650 acres of open fields and forest, and has been owned by her family for over 60 years. Learn more at their website here. We connected with Karen Odom owner of Natchez Hills Vineyard over our shared love of music and wine. We can’t wait to tour their beautiful vineyard (and sample some of their wine!). Their winery looks like the perfect location for a gorgeous southern style wedding. Check out their website here. We hope that some of our 2016 couples choose these spaces as the backdrops for their weddings! We’d like to thank all of the couples that we connected with and are so excited to add some awesome 2016 weddings to our calendar! Thanks to the Rainbow Wedding Network for putting on the event. They host shows all across the country and this was their first expo since the Supreme Court Ruling. We are excited that it was held right here in Nashville!